Creative Loafing is accepting nominations for its 2nd Annual Charlotte Web Awards. And May 31 is the deadline to submit your entries. 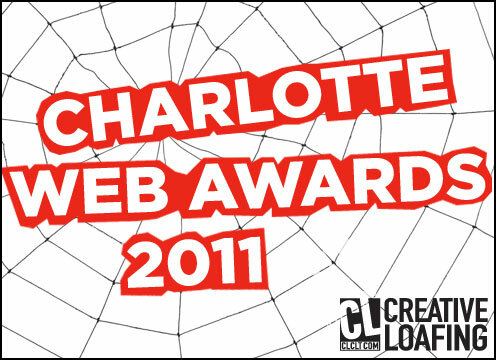 The Charlotte Web Awards honor the city's best homegrown websites, blogs, tweeters and commenters, and more. Categories include: Charlotte's best food blog, music blog, arts blog, restaurant website, retail website, event website, photo website, etc. And cool categories like best Twitterer, Facebook friend, and mobile app. Click here to submit your nominations. Feel free to consider yours truly when voting (Grown People Talking | Dusk Till Dawn).